Flexible Working: Productive or Destructive? The following content was submitted by Vervoe. The original article can be found here. It’s a much-debated topic and a growing trend, but most companies still don’t seem to take a deliberate approach to flexible working. Instead, they just offer a vague middle ground of “flexible working” on a case by case basis. There are strong arguments for encouraging remote working and, conversely, arguments for bringing everyone together under the one roof. As recent examples highlight, there is no “one size fits all” answer. The key is to tailor your company’s approach to your objectives, operating rhythm, desired culture and workforce composition. It’s a powerful argument. It also contains an inherent assumption that working from home increases productivity, which may not always be true. But Mayer had to do something to shake up Yahoo!’s culture and she put collaboration ahead of flexibility, which is what she felt the company needed at that point in time. In 2014 Reddit decided to consolidate its workforce in one location, San Francisco, and abolished remote working. 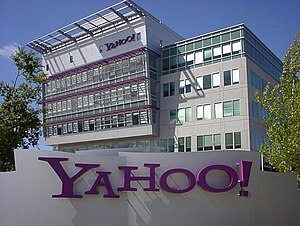 Reddit’s reasons were similar to Yahoo!’s. A look at the history of the office reveals that office space configurations have changed considerably over time. Naturally, different space configurations impact workers differently (and of course, at the individual level, the manner in which physical space impacts people depends on the individual’s personality, job, and tasks the individual performs). More specifically, environmental space can positively or negatively impact attention spans, productivity, creativity, job satisfaction, and stress level. University of Southern California, Dornsife, designed an infographic that expands upon this subject. Personally, I find myself agreeing with this assessment of the complete open office plan. However, I doubt that this phenomena, along with cubicles and private offices, will become extinct. A reduction? Yes. However, the complete absence of such configurations? No. Not only do companies and work cultures vary, but there’s also great heterogeneity when it comes to people, the roles they play at work, and the types of tasks they perform. So, I think that there will always be a need for a variety of office configurations even if some configurations are more prevalent than others. For example, those who deal with sensitive information and interactions (like lawyers, doctors, and therapists) will continue to need a private office. This infographic is surely thought-provoking. Check it out and let me know what you think! They need to see you there to know that you are working… Not!